Bang Data jamming at the F&S Music Fest. 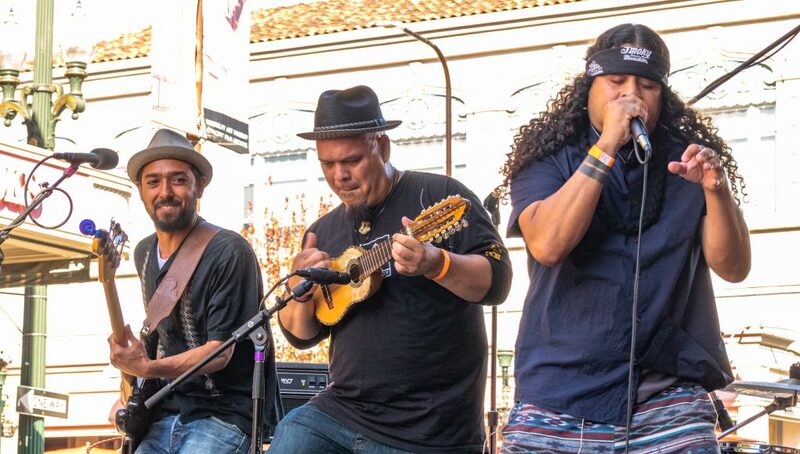 Berkeley’s Freight & Salvage Coffeehouse celebrated its 50th anniversary with an outdoor music festival on Addison Street last Saturday. The highlight — for me — was the appearance of Bang Data. 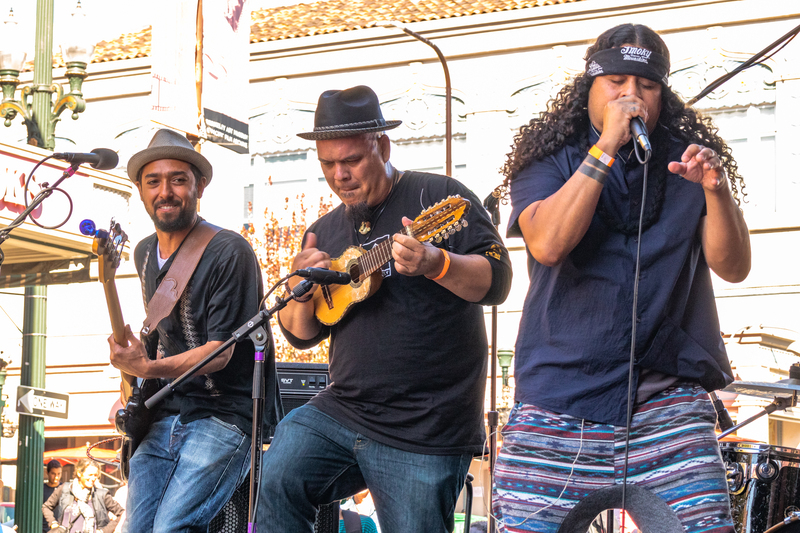 Addison Street in Berkeley filled up with music lovers for the Freight & Salvage Music Festival on September 22. Bang Data takes the stage at the F&S Music Festival. Bang Data frontman Deuce Eclipse at the F&S Music Festival. Producer and instrumentalist Caipo keeps the F&S Music Fest crowd pumped with his rhythms and tracks. Guitarist Michael Cavaseno of Bang Data at the F&S Music Fest. Bang Data bassist Yousef Al-Shomaimri happily plunks his bass at the F&S Music Fest. Next articleSigns of impending change?